Bring a French flair to breakfast or coffee. 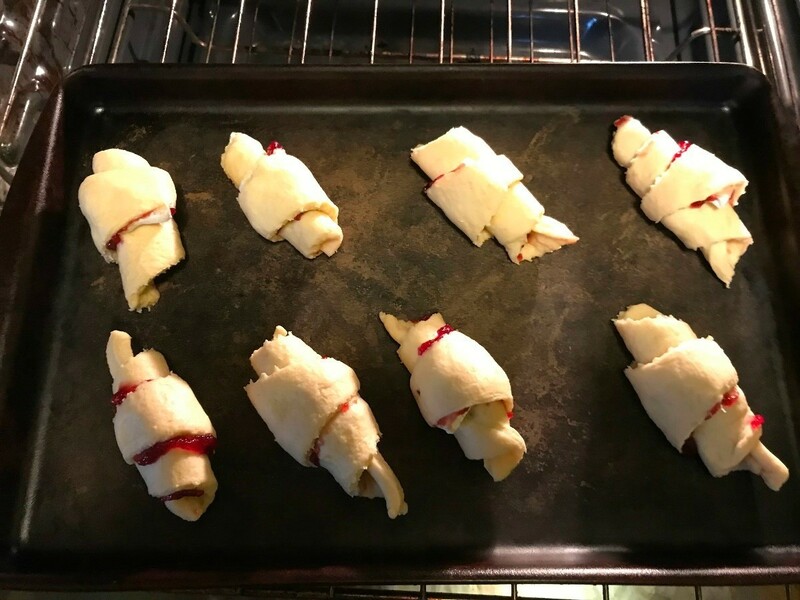 Raspberry jam and slices of creamy brie are rolled inside refrigerator crescents to make this sweet and decadent pastry. This guide is about making raspberry brie pastries. A local restaurant has homemade croissants that they serve with brie and jam and they inspired me to make this version with refrigerated crescent rolls. I brought these to a weekend brunch. Everyone loved them. I plan to make them smaller next time. They were too big to be bite-sized and I think a smaller version would stay flakier. If I just halve each triangle lengthwise and then put a smaller piece of brie on the big end, it should be a better portion size. 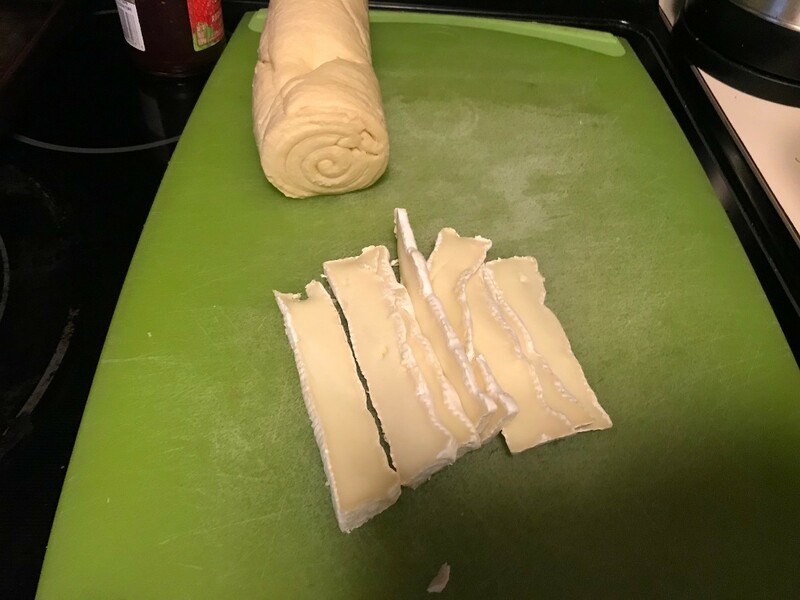 Cut 8 small slices of brie to be rolled up inside the crescent rolls. You may cut off the white "skin" or you can leave it on. Lay out crescent roll dough triangles and spread each with 1/2 Tbsp of jam. Add a slice of brie. 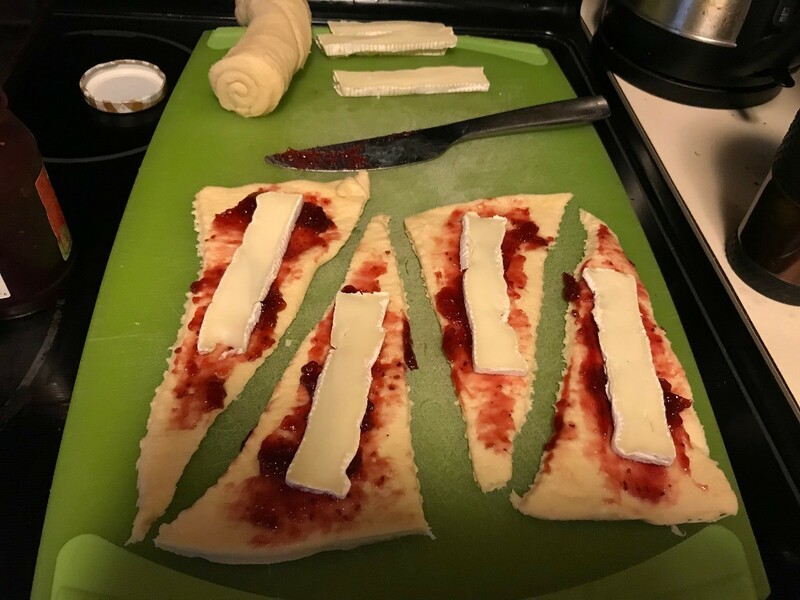 Roll up the crescent rolls so that the brie and jam are inside. Place on a baking sheet and bake at 375 degrees F for 12 - 15 minutes. Serve warm. I'm going to make these. Thanks for posting. Ill try them with cream cheese and jam. That sounds good too. 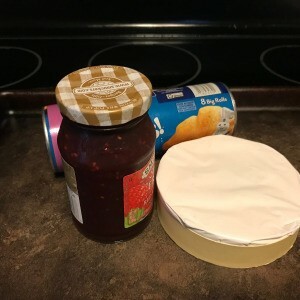 I also had a friend recommend using goat cheese and fig preserves.